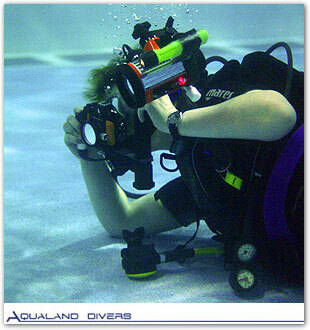 Bespoke Courses can also be arranged to suit your requirements. If you would like further details on the courses shown on this diagram, please visit us or contact us on 01245 477701. This is the choice of most students. it involves classroom sessions, self study, pool sessions and confined/open water sessions. Similar to the holiday option above, students complete all of the class work and pool sessions in the UK but are then able to complete rest of the course arranged with an overseas PADI dive centre of their choice. 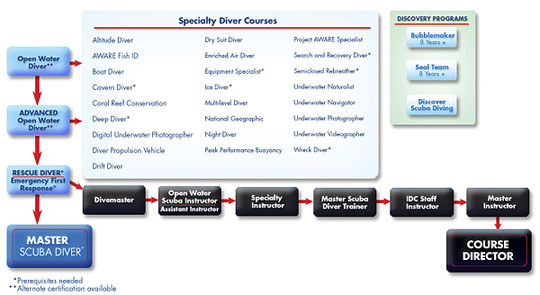 After completing the PADI Open Water Diver course, you will be able to dive in open waters (lake, sea, etc) with at least another qualified diver (your dive buddy) and without professional diving assistance (without an instructor).